A group of teachers and experts from the VUC Roskilde in Denmark will visit Amsterdam for a working visit. The aim is to talk about ideas and experiences concerning the support of (young) adults with reading problems or dyslexia. Specific information about the program and speakers can be found here. This symposium is organized in the context of our ORWELL-project, a project that focuses on cognitive and motivational predictors of written and oral proficiency in English using a longitudinal approach. (Inter)national experts will present the latest scientific insights into foreign and second language acquisition and teaching. The symposium is free. Click here to register. This symposium offers an overview of recent scientific findings concerning normal and disrupted reading development, which is linked to practice. Renowned (inter)national speakers will present the latest scientific insights and developments in treatment concerning reading and spelling, underlying cognitive and brain processes, and dyslexia. The symposium is organized by the University of Amsterdam (Developmental Psychology), the Rudolf Berlin Center, and the IWAL, in honor of the dissertations of Sebastián Aravena and Maaike Zeguers. 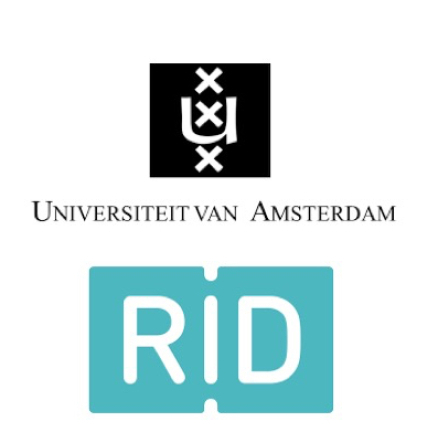 For more information about the speakers of this symposium, click here (in Dutch). The symposium provides an overview of recent insights in normal and abnormal reading development and on the translation of these insights into practice. Renowned (inter)national speakers present the latest scientific knowledge, and practical insights related to reading difficulties and dyslexia. The theme of this symposium is the link between insights from neurocognitive research and the treatment of reading problems. Renowned (inter)national speakers will present the latest scientific insights and developments in treatment concerning reading problems and dyslexia. Through this symposium, we celebrate the opening of the Rudolf Berlin Center (RBC): a university center in the field of learning disabilities. Click here for more information (in Dutch). An interview with Jurgen Tijms and Patrick Snellings about the opening of the center can be found here (in Dutch).